Approximately 6" tall and weighs 4 pounds. Mounted on a black marble base. 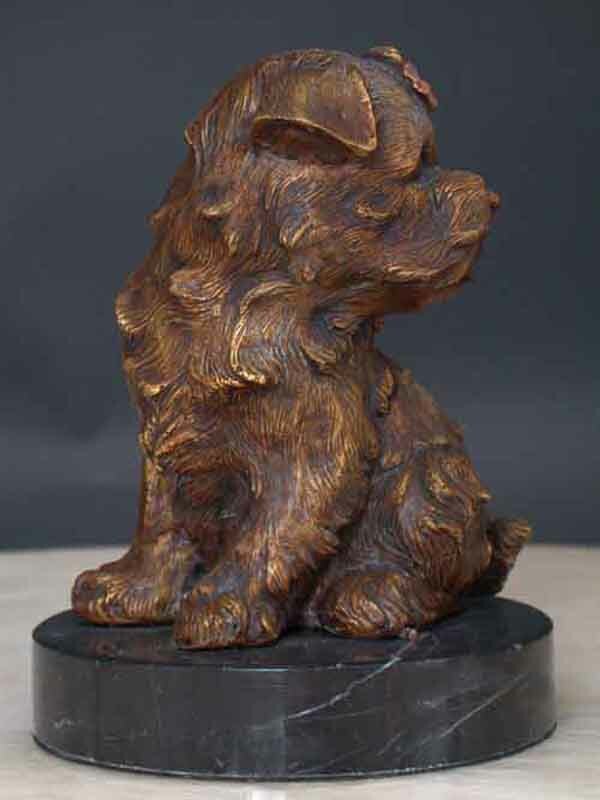 This beautiful dog sculpture is approximately 6 tall and weighs 4 pounds. 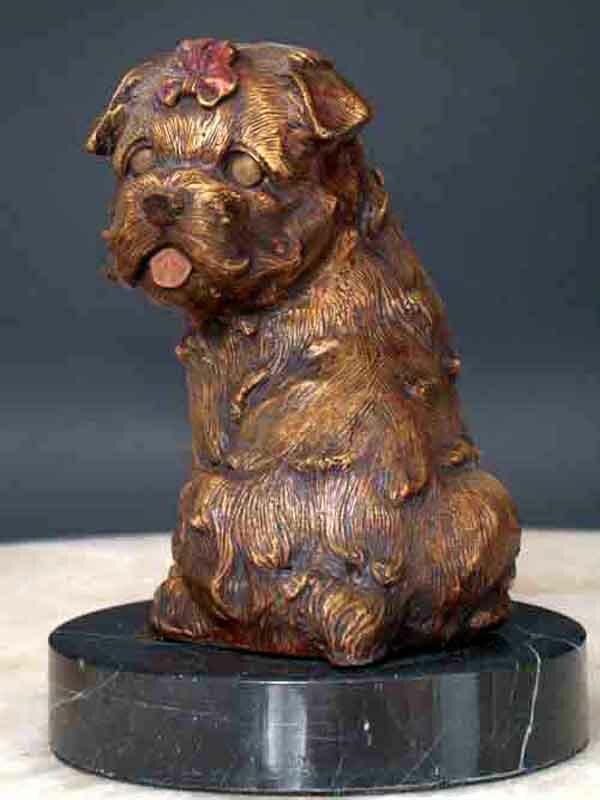 The sculpture is mounted on a black marble base. The base is covered with velvet to protect furniture. The puppy looks very happy. The quality is Exceptional. This rare piece is very graceful and a pleasure to view.